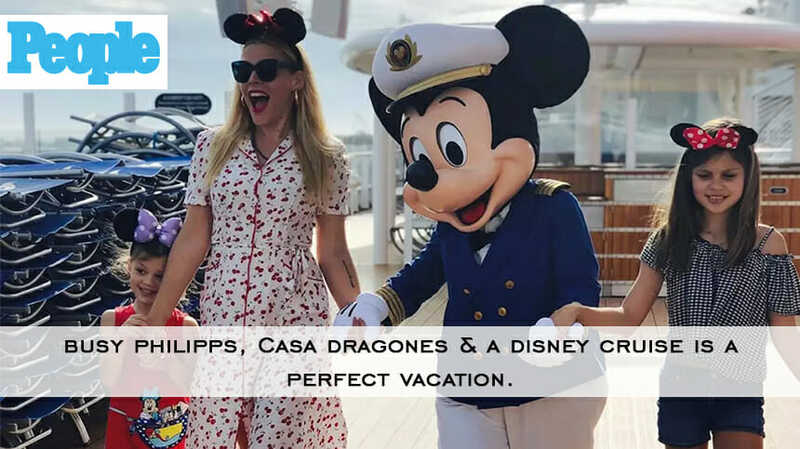 Busy Philipps showcases her experience at the Disney Cruise, including her Casa Dragones bottle. Busy Philipps is back on a Disney Cruise ship, and of course, she’s live streaming the whole thing again. The late-night host took to Instagram to document her return to the floating version of the happiest place on earth, first posting a photo of herself boarding the ship hand-in-hand with Mickey Mouse and her two daughters Birdie, 10, and Cricket, 5, and she was also accompanied by her husband. “It’s all happening. (AGAIN! )” Philipps captioned the photo, followed by three heart eye emojis and the hashtags #showusyourears and #disneycruiseline.